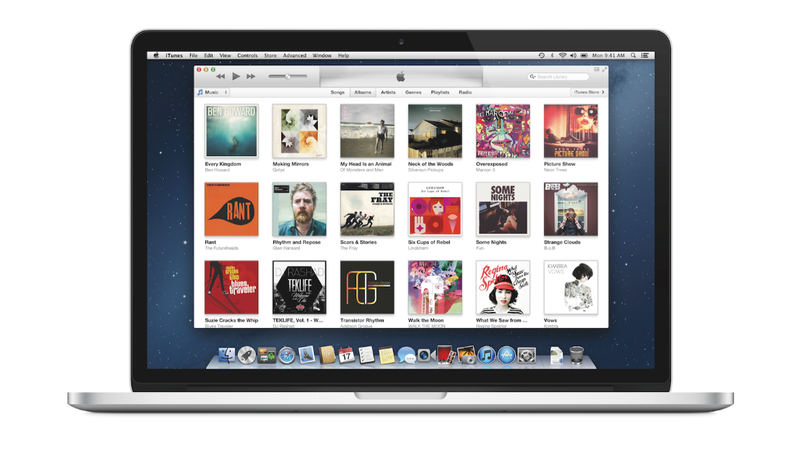 Just in time for the release of iOS 6 and the iPhone 5 comes iTunes 11, which has an even more streamlined appearance, "edge-to-edge" design, and more an overall more visual feel. But you'll have to wait until late October for it. When viewing an album grid and you click an album, it will produce a dropdown menu, much like clicking a folder in iOS. There's also some weird new feature where artists can share new photos with you (which still doesn't make tons of sense). And there are new modal menus/windows for search and play queue, which likely take their inspiration from what the streaming services (Spotify, Rdio, Mog) are doing with their apps. iCloud functionality has also been expanded to automatically push new purchases made in iTunes to iOS devices (and vice versa).